Ready your heart eye emojis. The most romantic holiday of the year is right around the corner! Yep, it’s time to start booking a table at your favorite restaurant, find the perfect dress and practice your Valentine’s Day updos. This is the perfect time to try out something a little different than your standard updo as you create something extra special, and maybe a little out of your comfort zone. 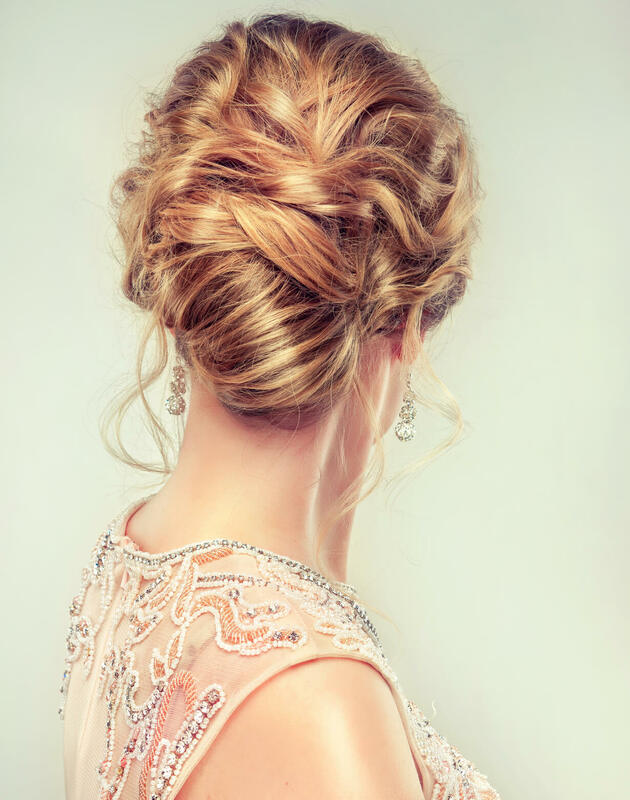 Ready to rock a romantic updo? Read on to check out some of our favorite Valentine’s Day looks. An updo that’s all about that bling. We are totally obsessed with this upgraded updo. Adding in super fun hair accessories are a great way to take your boring old bun and make it something really special. 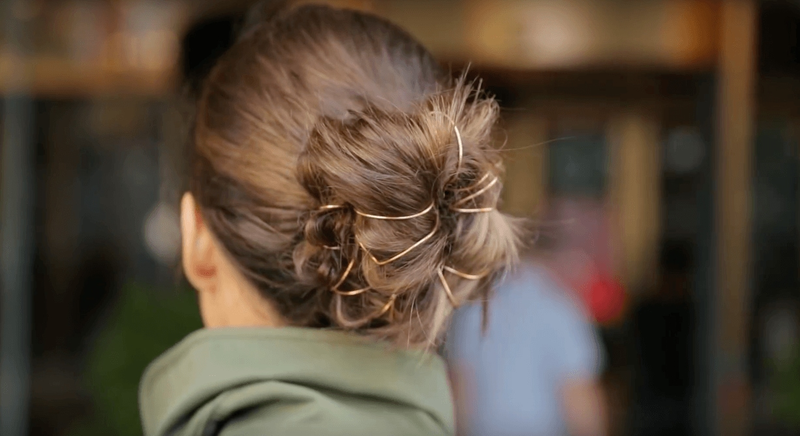 We like these super thin hair bangles that add an extra metallic twist to this bun. How you will apply your hair accessories will be totally different depending on your personal style and what look you’re going for. The bottom line is to have fun and express your style through your hair! We love romantic Valentine’s Day updos that are extra voluminous on top. 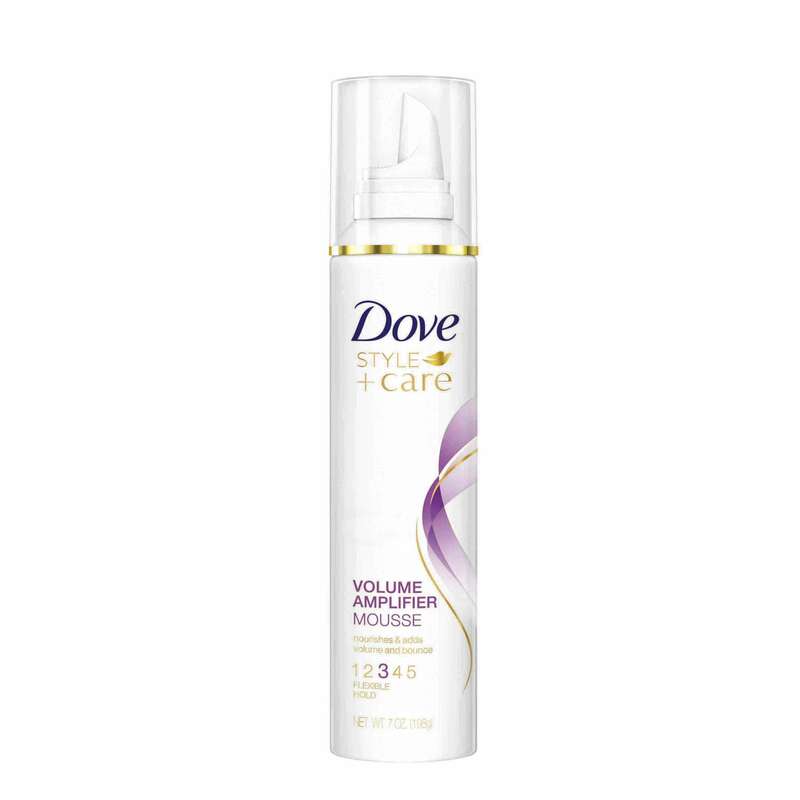 To amp up some volume, use Dove Style+Care Volume Amplifier Mousse before drying your hair. Air-dry your hair or blow-dry it, and then style the front half of your hair into a mini pompadour hairstyle. This will add extra height to your face, making it super cute and flattering. With the rest of your hair, pull it into a messy top knot and secure your style with some bobby pins. The overall look is romantic without trying too hard. Love! 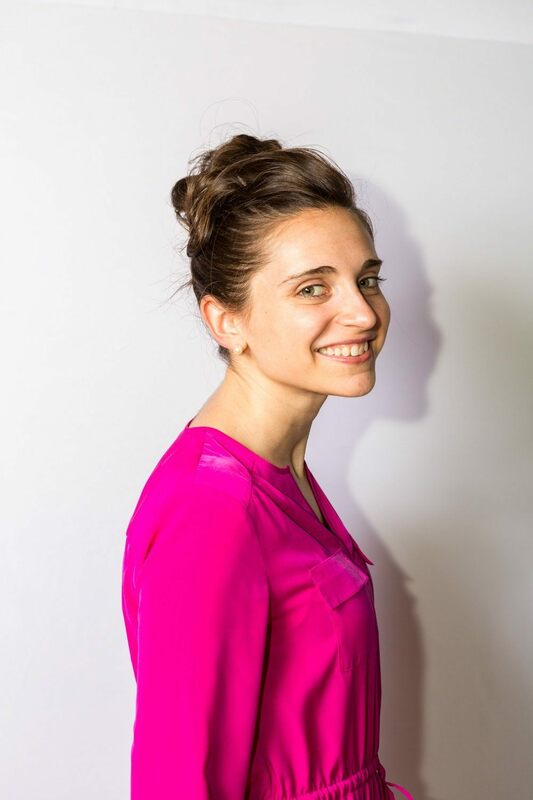 Calling all francophiles! We are in love with how elegant Valentine’s Day updos turn out when they incorporate a twist. And what’s more elegant than a French twist? This style is simple and sleek and looks great with any outfit, trust us. You can follow along with our easy French twist tutorial so that you can recreate this look at home. 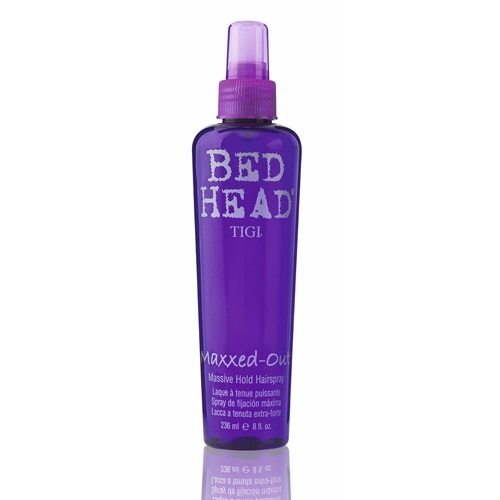 Just make sure to have bobby pins and Bed Head by TIGI Maxxed Out Massive Hold Hairspray on hand to set your style. A perfectly coiled hairstyle that we love. For a twistier, even more romantic look, try this curly twisted updo. You’ll need to start off by curling your hair. We like tight curls for this look, so try a smaller half-inch curling wand to curl your hair. This hairstyle is set in two parts. The first is to create a half-up ponytail, resting right in the center of the back of your head. The second part takes all of the rest of your hair (ponytail included) to twist and cover the ponytail holder. Wear this one out for that extra special Valentine’s Day date. For that charming vintage style, try this old school updo. You’ll have to create finger waves with the front section of your hair which, trust us, looks a lot harder than it actually is. 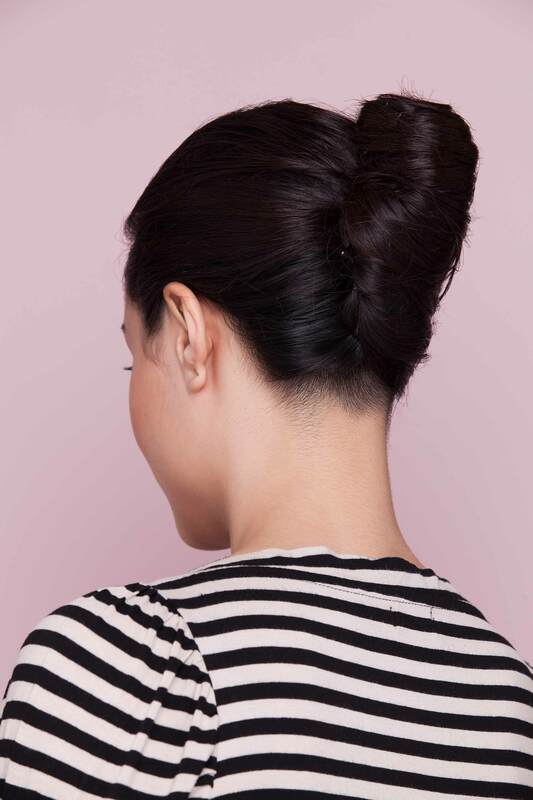 Then all you need to do is fold the rest of your hair into a chic chignon. 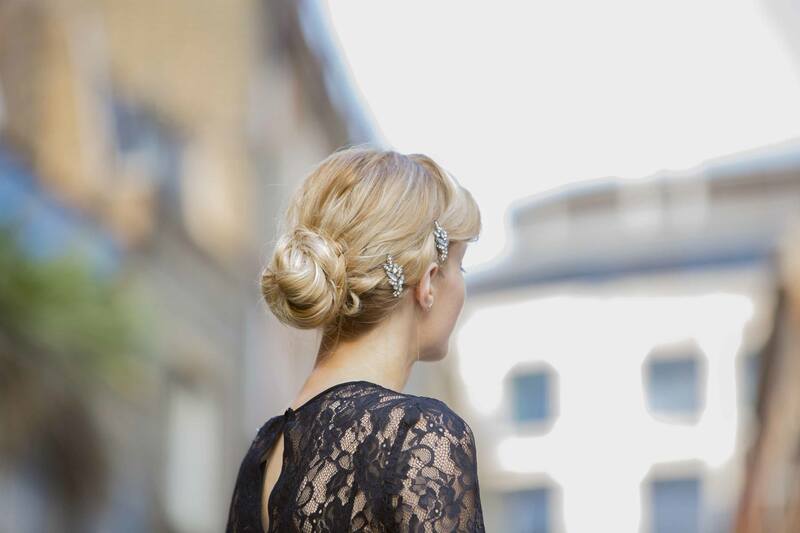 Follow our tutorial to replicate this vintage updo. We love this style for those all day dates where you don’t want to worry about your hair. It’s one of those updos that is extra secure! The bigger the bun the better. 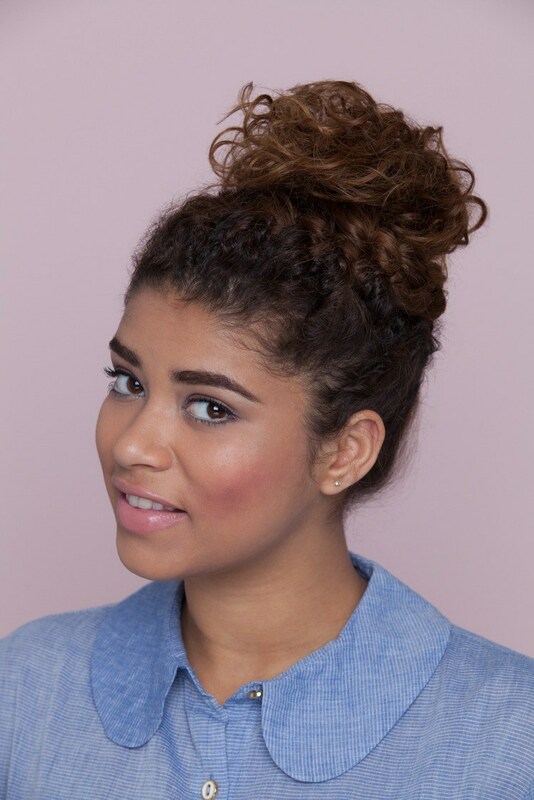 We’re all about this curly braided bun for our naturally curly girls. To get this style to look really nice, start off with defined curls. We like to use a curl-defining gel to help set natural curls in their curl structure. 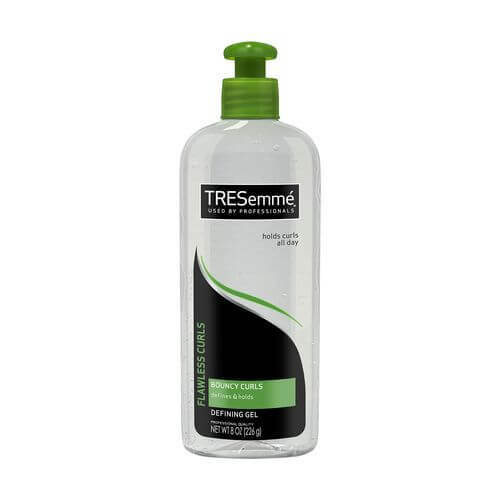 So, use a good dab of TRESemmé Flawless Curls Defining Gel while drying your hair. Then follow our tutorial to create this braided curly updo. 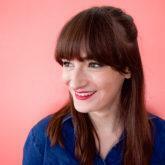 Check out these romantic hairstyles at Rebecca Minkoff.